To make matters worse, I use the stock camera on my Galaxy S4 and everytime I take a photo, the “click” of the digital shutter alerts anyone that wasn’t paying attention that I just took a photo. The camera’s loud, yet not loud “click” makes me even more aware of how ridiculous I *think* I look. So is there a way to turn off the camera flash sound on an Android? Is there a setting that allows you to toggle the shutter sound off and on? Unfortunately, there’s no option to turn off the shutter sound when snapping a photo on your Android phone. 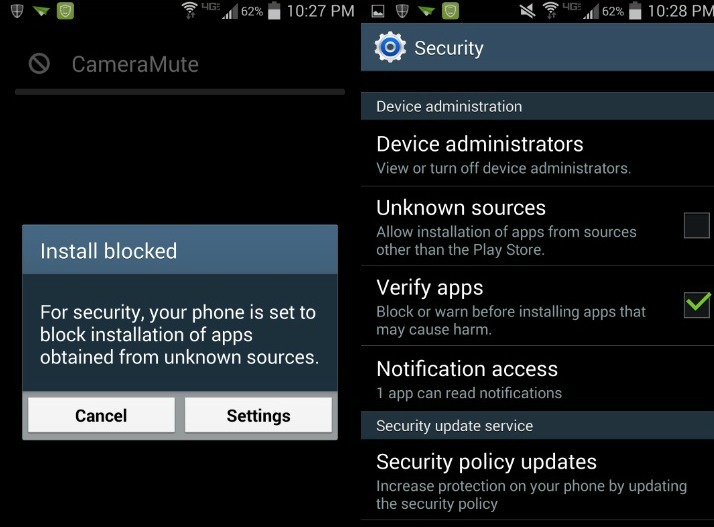 However, there are ways to disable the shutter sound without having to root your phone. Without rooting your phone, the only option Android gives you in their stock operating system is turning your phone to silent before taking a pic. Easy enough, but doing this each time you want to snap a pic without sound is annoying. I wonder why Android took this option away? Concerns for public privacy? 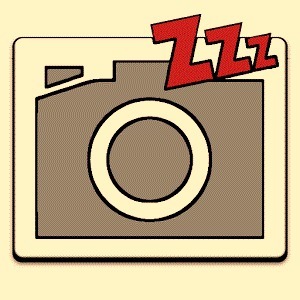 The other option is to use an app to silent the shutter click. I wasn’t able to find any in the Google Play store, but came across the Camera Mute app that’s available to download off the web. I was a little apprehensive about installing an app that wasn’t officially approved by Android, but you only live once. And in your one lifetime, don’t you want a phone camera that doesn’t make a sound when you take a picture? If you’re not completely freaked out by this warning, go ahead and tap ‘Settings’ and then check the box ‘Unknown Sources’ to allow Camera Mute to install on your phone. 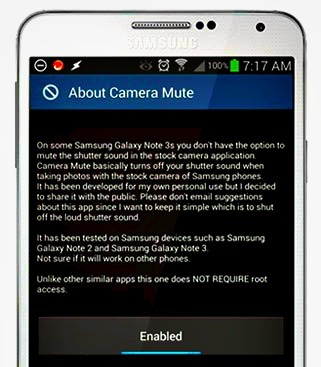 Your phone should be installing the Camera Mute app now. Once it’s finished installing, enable it and enjoy the silence. Does Camera Mute work on my phone? So if you have one of the phone above, feel free to be the creep the way you’ve always aspired to. You can clandestinely snap photos of whoever you want whenever you want without the camera “click”‘ alerting your prey. With Mute Camera, you can turn off your camera’s sounds.